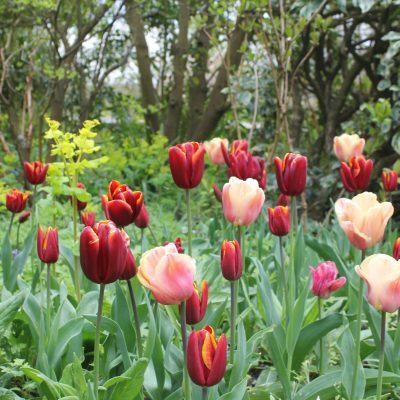 The days are lengthening and Jo Arnell is getting excited for the new gardening year. The light is slowly streaming back and I’m beginning to get excited for the spring. It’s usually a false spring, as one warm day in February is often followed by weeks of freezing weather, but I can’t help clutching at anything that speeds the winter along. A few brave buds and bulbs are quietly stealing a march; look closely and you’ll find tiny, but hopeful awakenings to celebrate. 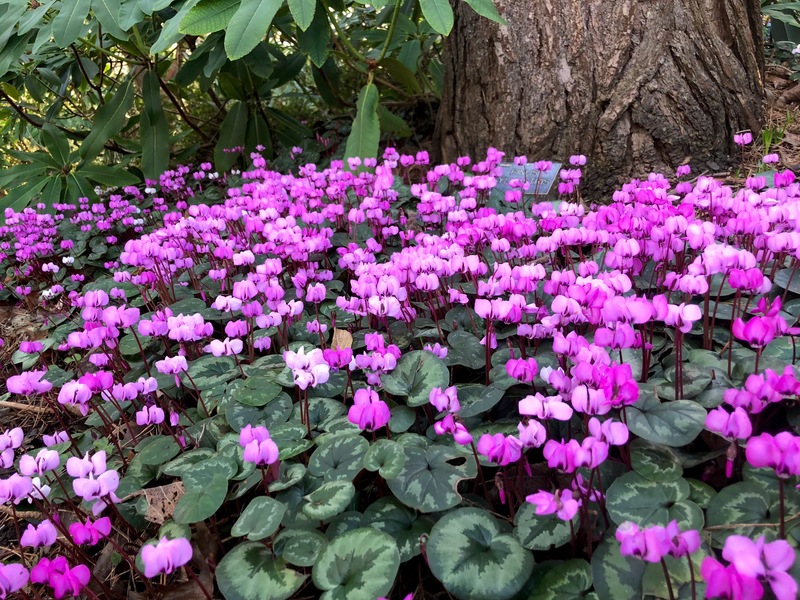 There are some wonderful plants to enjoy in the late winter garden and, if you’re as impatient as I am, there are several tasks that we can get started with too. Winter blossoms aren’t show offs, but, like some of us, they make up for their shyness in other ways. They are delicate, usually white, or pale colours that will show up in the wan winter light and in shady places, but the best thing is that nearly all of them are scented. The fragrance will be strongest at dusk and dawn, when it is pumped out by the flowers in the hope of luring pollinating insects like moths, flies and beetles. A few bees may bumble sleepily among them too and even the odd butterfly on sunny days. It is still too early for most creatures – they will be hibernating in log piles and insect hotels – but for the insomniacs and early risers these plants help to provide a life-saving source of nectar. Grow a winter-scented plant somewhere near to the house – by the front or back door, near a path or gate – where you will be able to walk past regularly, inhaling as you go. Don’t forget to cut a few twigs to bring inside too – nature’s own diffuser. Prune to the shape of a vase – the books will tell you ‘an open, goblet shape’. This is to encourage air to circulate through the plant, as roses are prone to fungal diseases that thrive in airless environments. 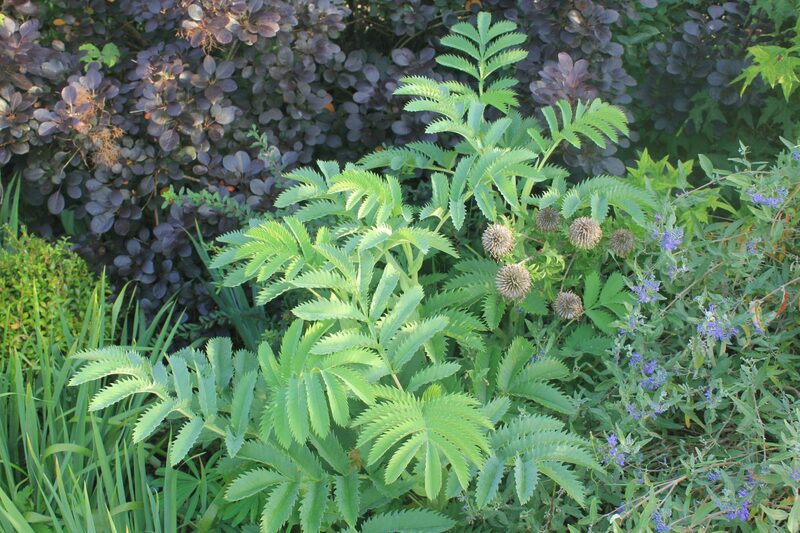 Cut stems to just above knee height to an outward-facing bud – I know, there is never a well-placed outward-facing bud, so just cut a sloping cut with sharp secateurs in roughly the right place if you can’t locate a sensible bud. Just to confuse everyone there are several varieties of Hydrangea, but thankfully only two main ways to prune them. If you grow the paniculata types (those with long racemes, a bit like Lilac on steroids) or Hydrangea ‘Annabelle’ (huge white pom-poms), you can be brutal and cut back to a framework. This will stiffen up the stems and encourage fewer, but bigger bracts (the showy outer part of the flower). Old fashioned ‘mop head’ types do not like hard pruning, unless they have become too big for their boots. These should just be dead-headed, as they form their flower buds during the previous year and pruning will cut off the flowers. 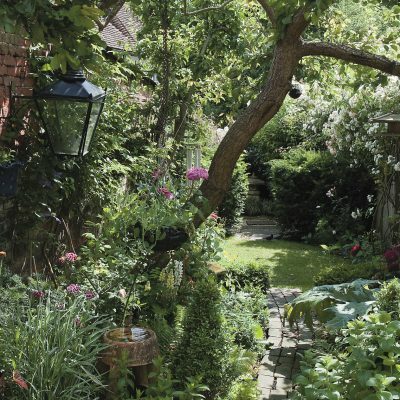 These flower in late summer on new wood and tend to get unattractively leggy when left, so need a good hard prune now to encourage flowers at a height where you can enjoy them. These should be pruned hard in late winter/early spring. 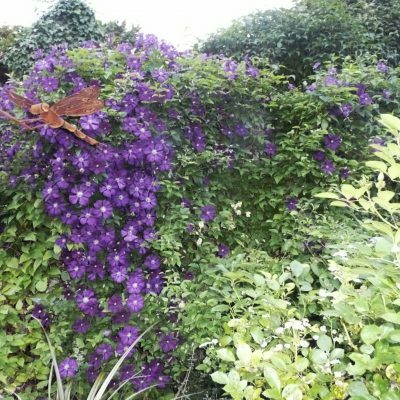 The trick to knowing which group your clematis is in is to remember when it flowers. Group 3 are late flowering, so they flower on the current season’s growth, which is why you can cut the old growth back to the ground. New shoots will soon spring up and stop the plant from getting leggy and top heavy. These should be cut right back to the base to allow fresh new foliage to come through. 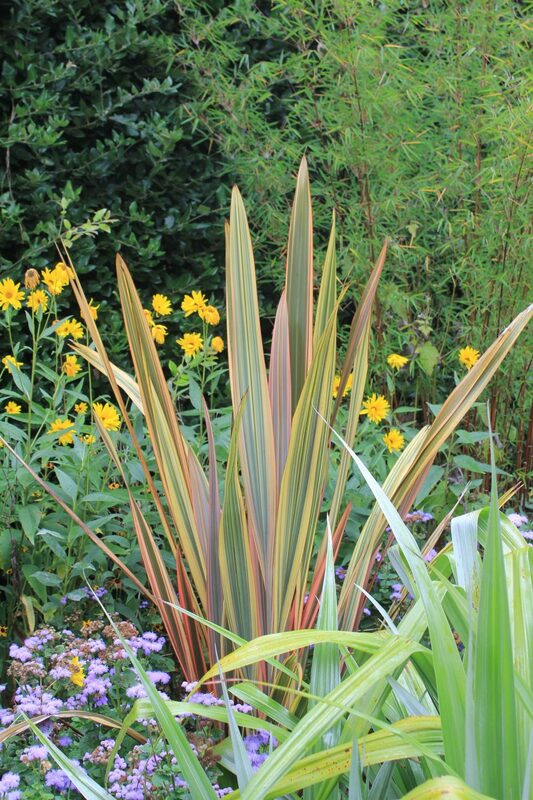 Do not cut back evergreens like Stipa though. This is best just combed through to remove the dead leaves. Dahlia tubers and other tender exotics like Cannas and Agapanthus can be slowly brought out of hibernation. If you grow them in containers, pot them up into fresh compost and water to start them into growth. Remember that these are not frost hardy and will need to be kept somewhere fairly warm until later in the spring when the danger of frost has past. Many seeds can be sown now, but apart from the hardiest, they should be sown under cover. It is still too early for most things to germinate directly into the soil. Half hardy annuals like Cosmos, Nicotiana, Cleome, Tithonia and other long-flowering, but frost-tender plants can be sown now, but only if you keep them under cover until the weather warms up. Early vegetables like broad beans, peas and leeks can be started now too. If sowing directly, warm the soil with a mulch or frame, especially if you are gardening on clay, which can be slow to warm. If you have a greenhouse start sowing tomatoes, peppers and other annual crops and annual flowers that need a longer growing season. It won’t be long now until the glorious tide of proper spring rushes in. Make the most of these first days and the small, but joyous signs that winter is nearly over. Prunus subhirtella autumnalis: a small, delicate cherry tree that flowers intermittently all through the winter. Daphne odora ‘Aureomarginata’: the ultimate winter plant; beautiful, evergreen and highly scented. They are a bit temperamental in their requirements – think of a botanical Goldilocks. Viburnum bodnantense ‘Dawn’: tiny pink blossoms on bare stems, but with incredible fragrance. Sarcococca confusa, or Sweet Box: not an exciting plant to look at, but sweetly scented, so I tend to plant it behind something unscented but good looking. Clematis cirrhosa var. balearica: a dainty looking, but tough little clematis that flowers all through the winter. Each cream coloured bell is speckled reddish brown, releasing a citrus scent on sunny winter days. 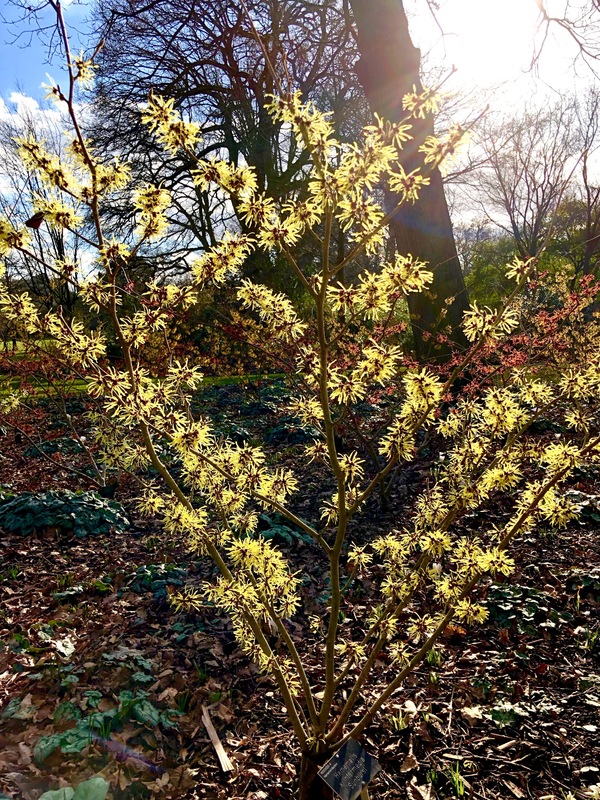 Hamamelis x intermedia ‘Pallida’ (Witch Hazel): scented flowers climb its bare branches like little yellow spiders. It also has good autumn foliage, which helps to redeem the other eight months of dull green leaf. 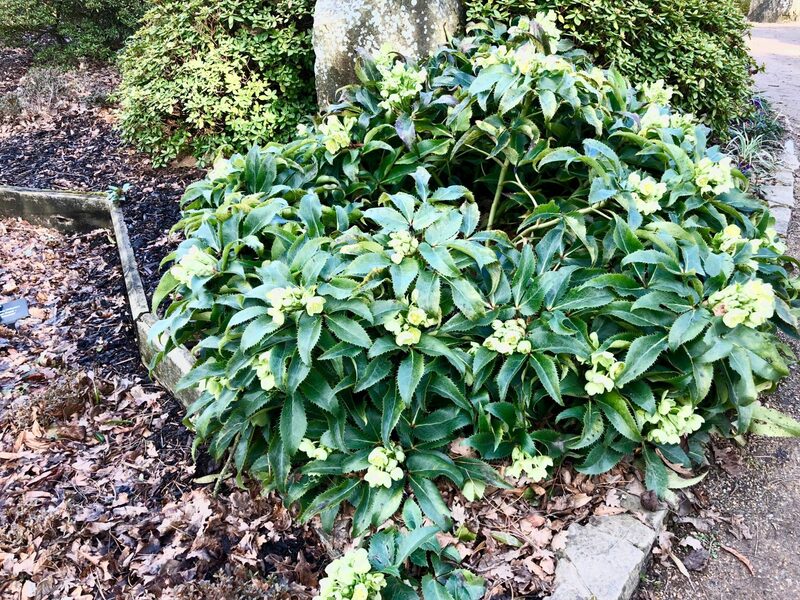 Helleborus niger: the earliest of the Hellebores – often called the Christmas rose, but probably at its best in late January and February. 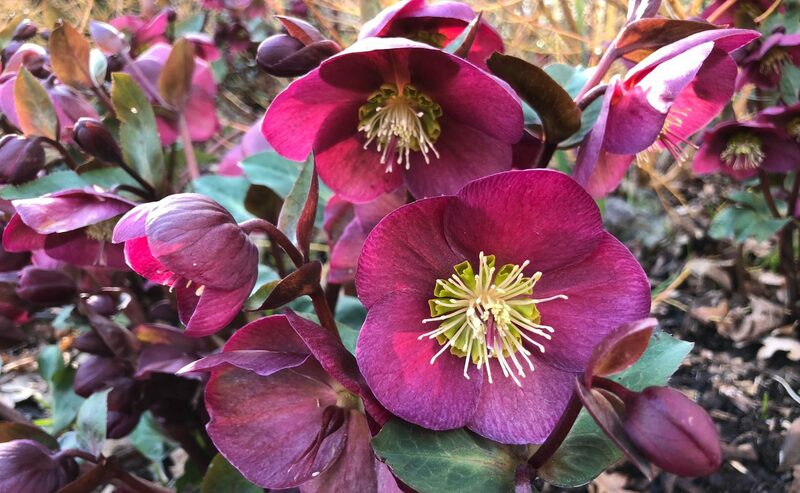 Hellebores naturalise well and mix beautifully with other early spring flowering plants and bulbs. 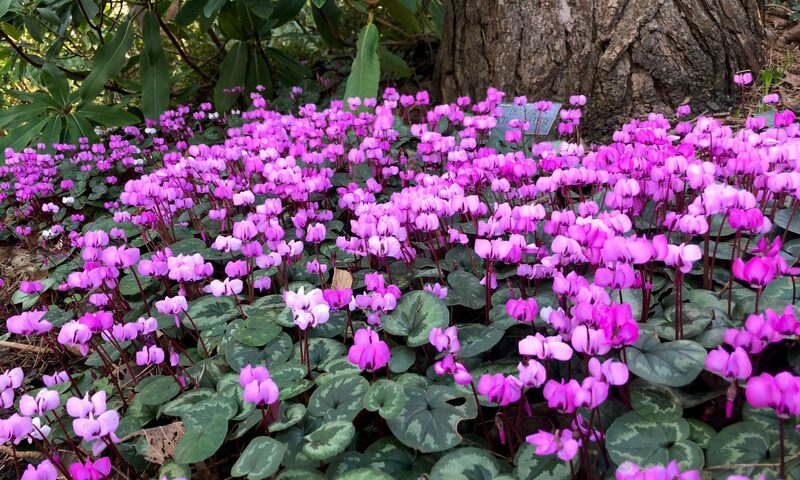 They prefer moist, woodland-style conditions, but can spend many a dry, shady summer lurking between shrubs and trees without coming to too much harm.